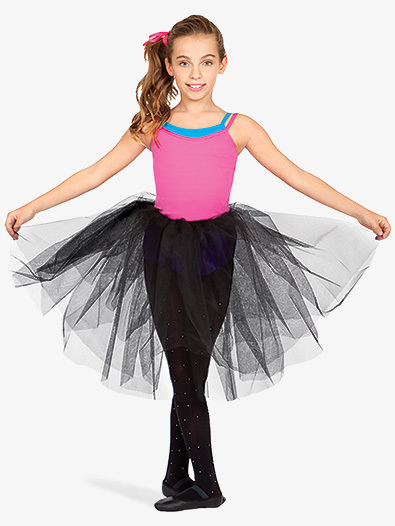 OUR PRICE: $14.50 - Join Rewards Get $1 Dance Dollars On This Item! Romantic length tutu from Capezio has two layers of medium stiffness tulle that gently falls around the dancer for a light, ethereal effect. 1 1/4" wide elastic in the waistband makes for a comfortable fit. This item is Child One Size fits most Waists 22-28" Length 20"
how long is this? especially compared to the Adult version? Child One Size fits most Waist 22-28" Length 20"